Greece is a country with a hallowed past and an at-times turbulent present. Appreciation of the achievements of its classical past has tended to overshadow its development as a free nation since the War of Independence from the Ottomans in 1821. Many foreign Hellenists imbued with a romantic ideal of the Greece of Pericles and the Parthenon are blithely ignorant that Greece today is a vibrant modern European country. It is equally a land where the languages of recent migrant communities from the Balkans, Africa and Asia – not to mention the English and German of EU migrants and retirees – contribute to Greece’s status as one of Europe’s more recent multicultural societies. The Greek capital is undergoing a radical period of urban renewal that did not stop with the 2004 Olympics. The magnificent Acropolis, crowned by the iconic Parthenon temple, rises above the city, watching the sprawling modern metropolis evolve. Athens is now a conspicuously wealthier, more sophisticated cosmopolitan city. The shift is evident in a gradual gentrification and the new art and leisure precincts around town, and in the lifestyles of the hedonistic, trend-conscious Athenians. Stylish new restaurants, shops and revamped hotels continue to open. Crete is more like a small country than another Greek island. It’s not just Greece’s largest island, but arguably its most fascinating and diverse. Its remarkable history is evident across the island, from the ruins of the Minoan palace of Knossos to the Venetian fortresses of Rethymo; from old mosques and Byzantine monasteries to the cave that is the legendary birthplace of Zeus. The Venetian port of Hania in Western Crete is one of Greece’s most evocative cities and the capital, Iraklio, is a dynamic city, the fifth largest in Greece. The gridlike streets of modern Sparta (spar-tee) are in line with its ancient precursor’s image of discipline, although fortunately, not deprivation. It is an easy-going, if unremarkable, town that lies at the heart of the Evrotas Valley, surrounded by olive and citrus groves, while the Taÿgetos Mountains, snowcapped until early June, provide a stunning backdrop to the west. The town was re-founded in 1834 on the orders of King Otto, who had just made the decision to move his court from Nafplio to Athens. Mindful of history, Otto and his court felt that since Athens was to be rebuilt to reflect its former glory, so too should Sparta. There’s a pleasant enough square and a fascinating oil museum, and a few ruins attesting to its ancient pre-eminence. Most visitors are heading to the nearby site of Mystras, but it’s worth spending at least a few hours here. Traditional Arts & Crafts: So many places in Greece pride themselves on their needlework that it is hard to single out even a few, but among those few would be Crete, Rhodes, and Skyros. Two places in Athens deserve mention: The Center of Hellenic Tradition (59 Mitropoleos and 36 Pandrossou) and the National Welfare Organization (6 Ipatias and Apollonos). The center offers ceramics, woodcarvings, prints — and one of the finest views of the Acropolis in Athens. The National Welfare Organization contains hand-loomed rugs and silk embroidery done by village women, as well as excellent copperwork and ceramics. Leatherwork: Both Rhodes and Crete feature local leatherwork, from sandals to handbags, from belts to jackets. Pay attention to quality. Furs: Kastoria, in northwestern Greece, is the center of the fur trade, and fur products are everywhere. Athens, of course, sells expensive fur coats. Rhodes also features fur coats. Wherever furs are sold, be sure you know what you are buying. Jewelry: It now seems that half of Greece’s retail stores sell jewelry, so shop around. Much of it is really no different than what can be found in cities all over the world, but Athens does have major, internationally known jewelers such as LALAoUNIS and Zolotas. Try Chania, Crete, for sophisticated local artisans’ work. Islands such as Hydra, Mykonos, Santorini, Skiathos, and Rhodes have scores of stores appealing to the tourist trade. Ceramics: As with needlework, pots and ceramics of all kinds are to be found throughout Greece. Some of the more traditional may be found on Chios, Crete, Mitilini, Sifnos, and Skopelos. Rugs/Weavings: Crete probably offers the largest variety of rugs and weavings. Metsovo has some distinctive textiles. If you like rag rugs, keep an eye out for kourouloudes on sale at small shops as you travel the Peloponnese. Wood: Corfu seems to be the center of olive-wood products — carving boards, bowls, and utensils. Rethymnon, Crete, also has a selection. In the Peloponnese, woodcarvings and utensils are often found in the villages of Arcadia. Chios and Mitilini also boast wood-carving traditions. 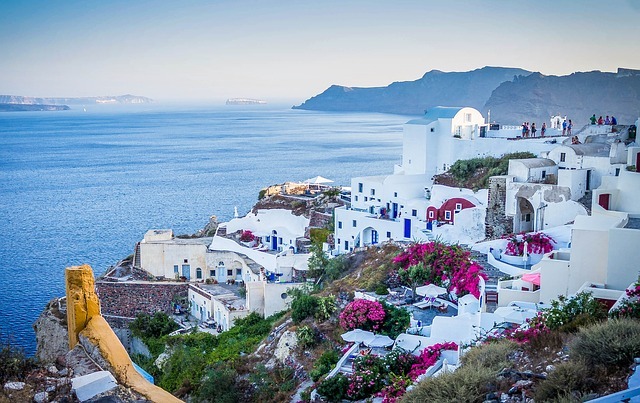 With the geographic location of Greece, and the fact that it is surrounded by over 12,000km of coastline, you can be sure that you will be able to find a huge selection of beautiful beaches spread out all over Greece and the Greek Islands. The variety of beaches that be found around Greece is immense. There are stunning sandy beaches with crystal fresh blue waters, beaches with white pebbles, beaches with forest and pine trees leading all the way down to them, and so much more. There are also private beaches that operate all over Greece, and these beaches are accessible for a small fee. Most of these private beaches have snack bars and cafes, as well as changing facilities, showers and toilets. Other private beaches operate pool slides as well as other fun activities, which can keep both children and adults occupied for hours. 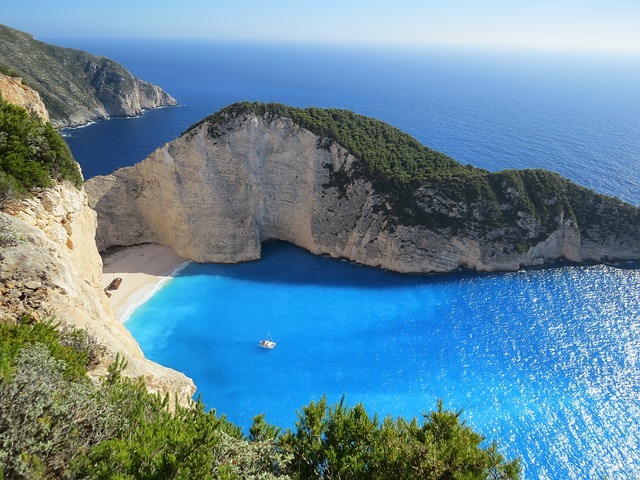 Greece and the Greek islands are the perfect holiday destination for lovers of the sea and beaches. All of the beaches that you can find around Greece all offer their own unique piece of summer magic as well as natural beauty. It is not uncommon to find a small secluded hamlet somewhere, and have your own “private beach” for the day. The island of Naxos is home to some of the most glorious beaches in the Cyclades. On Naxos, you can find very long stretches of sandy beaches, which are very clean along the island. Plaka beach is a beautiful three-mile stretch of shoreline, which is actually undeveloped, and seemingly deserted. It is an ideal place to enjoy the beach and sea, away from more busy and noisier beaches on the island. Situated to the south of Hios (Chios) Island, is the small but beautiful Vroulidia beach. With its stunning white sand, and the overhanging rock on the cove that actually hides most of the beach from passers-by, this beach is one that is rarely crowded. You will surely enjoy your times here at Vroulidia. This beautiful white-pebbled beach is one of the gems of the Sporades Islands. It has beautiful blue green waters, with white cliffs, and is visually stunning to look at. One of the main reasons why this beach is so beautiful is that it is not as easy to reach as other popular beaches on the island. If you have the patience to make your way down to the beach, you will surely be rewarded once you set down to enjoy the summer sun and sea. Greece has been using the euro currency since the beginning of 2002, exactly one year after the Greek drachma (dr) went into the euro-currency basket, fixed at a rate of 340.75 dr to €1. There are eight euro coins, in denominations of two and one euros, then 50, 20, 10, five, two and one cents, and six notes: €5, €10, €20, €50, €100 and €200. The main reason to carry travellers cheques rather than cash is the protection they offer against theft. They are, however, losing popularity as more and more travellers opt to put their money in a bank at home and withdraw it at ATMs as they go. American Express, Visa and Thomas Cook cheques are all widely accepted and have efficient replacement policies. Maintaining a record of the cheque numbers and recording when you use them is vital when it comes to replacing lost cheques – keep this separate from the cheques themselves. US dollars are a good currency to use.